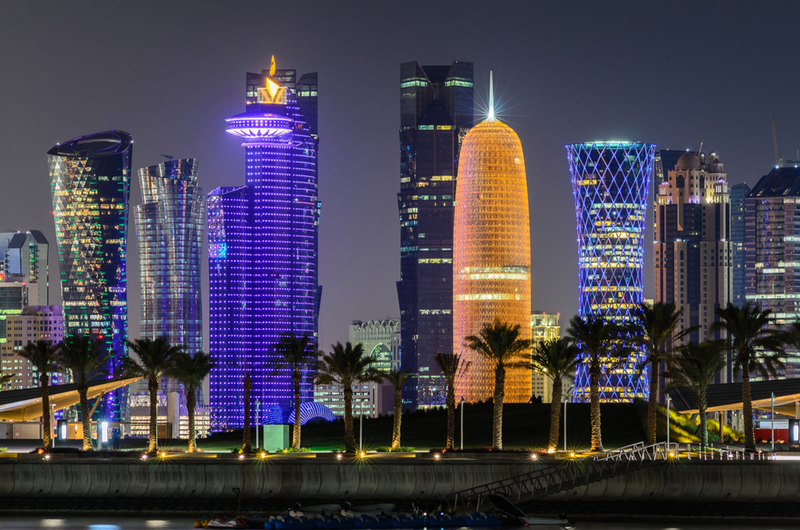 Perched on a tiny peninsula where the desert meets the sea, oil-rich Qatar has much to offer – and its capital city is a sensation. The capital of Qatar is rapidly emerging as a popular calling point for cruise ships, with numbers rising sharply every year. 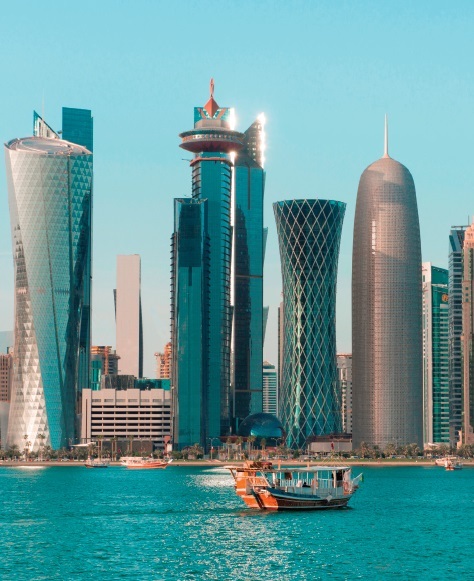 And when the new $7.4 billion port in Umm Al-Houl (40km from the city centre) opens next year, Doha will become a fixture on the cruising map. With the FIFA World Cup heading to Qatar in 2022, the country’s tourist facilities are being upgraded all the time and there’s just so much to see. So how can you get the most out of an eight-hour stay? 07:00 All cruise ships currently dock at Doha Port, in the centre of the city by the historic Al Corniche waterfront promenade. There are only two countries in the world where desert dunes tumble directly into the ocean, and this is one of them. 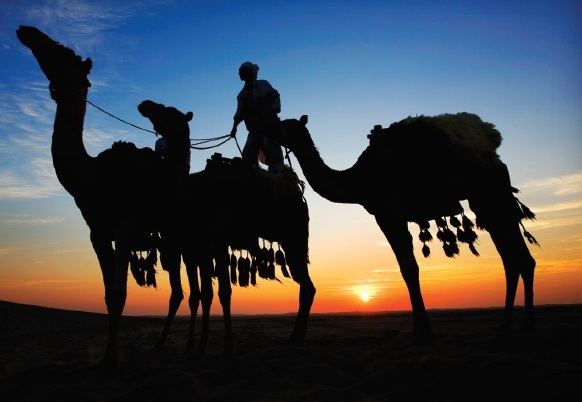 If your children are up for it, a desert safari is a must – but set off as early as you can, before it gets too hot. Several Doha companies operate four-hour trips, including exciting 4×4 drives across the majestic dunes, a camel ride and a swim at the incredibly beautiful (and warm) inland sea known as Khor Al Adaid. Don’t forget your swimming costumes but remember Muslim modesty standards (and plenty of sunscreen). 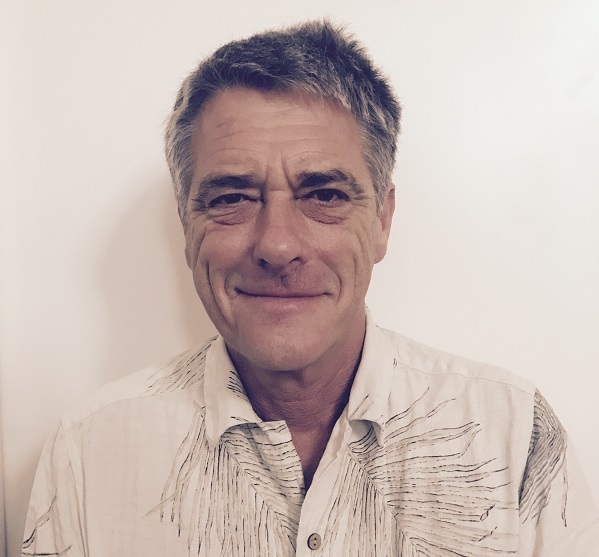 Older children may also be able to hire a range of dune buggies, and most tours include Arabic tea or coffee and succulent dates at a Bedouin camp. Some provide lunch. 12:00 It’s seriously hot by early afternoon so it’s best to get out of the sun or into the water. The outdoor option is Aqua Park Qatar on Salwa Road, the country’s first theme park, where you’ll find a wide range of water slides, a lazy river and a huge wave pool. Alternatively, there’s Circus Land at Landmark Shopping Mall in Al Gharaffa, with a horse carousel, a “Red Baron” aeroplane flyover, trampolines and bumper cars, plus a food court and cinemas. Or you can try Gondolania at the Villagio mall, where the entertainment includes skating, go-karting, bowling, more trampolines, 4D cinemas and “Doha’s only indoor gondola ride inspired by the Venetian original”. 16:30 Whatever time you have to be back on board, reserve at least an hour (preferably longer) to wander around Doha’s Souq Waqif. The buildings may be new but the atmosphere is pure Arabian Nights: a wonderland of hookah pipes, coffee shops, barbecued meats, carpets, song birds in gilded cages, a camel market, and just about every kind of Arabic fashion (male and female) ever imagined.If there’s one place you need to visit while in Doha, this is it. Try to be here either in the early morning or after dark – because that’s when the souq is most alive. If there’s one place you need to visit while in Doha, this is it. Try to be here either in the early morning or after dark – because that’s when the souq is most alive. 09:00 By far the easiest way of seeing Doha’s many highlights is to buy a ticket for the hop-on-hop-off Doha bus. The service is meant to operate every 20 minutes (you may have to wait a little longer) and it might not be cheap (expect to pay around QR$50), but it is convenient, reasonably comprehensive, comfortably undemanding, and it comes with an informative commentary. Cruisers docked at Al Corniche should board at Stop 3, the closest to the cruise terminal. Sit on the right-hand side of the double-decker bus and ignore the next four stops as you enjoy views over the Arabian Gulf that countless generations have admired before you. If you’re into architecture or shopping, get off at Stop 8, “City Center”. Brits – or at least Londoners – may have got used to their Gherkins, Shards and Walkie-Talkies but this area of Doha shows what the world’s most expensive architects can really do if they’re given enough money to play with. The names may be a little fanciful (Flower Vase, Twisty Stick and Space Rocket, anyone?) but the buildings are mighty impressive. See if you can spot which is which on the skyline. If shopping till you drop is more your scene, you won’t be disappointed. City Center Doha is one of the biggest malls in the Middle East with 250 outlets, 64 restaurants, a cinema and (of course) an ice-skating rink. 11:00 If you fancy a swim in the Arabian Gulf, get off at Stop 11 – Katara Cultural Village. There’s a mile-long beach offering various water sports activities, plus a children’s play area and gondola rides. 12:30 Skip the next few stops and get off at Stop 15. This is the fabulous Souq Waqif, but ignore it for now (these are the sleepy siesta hours) and take the short 10-minute stroll along Al-Corniche to the Museum of Islamic Art. Designed by the then 93-year-old architect IM Pei, who gave the Louvre its famous pyramid entrance, this monumental building houses Michelin chef Alain Ducasse’s only Doha restaurant. More importantly, it is also home to one of the world’s greatest collections of Islamic art. Admittedly, not much of it originated in Qatar, but if you want to get some sense of how much the Muslim world has contributed to global culture – from ceramics and carvings to calligraphy and jewellery – this is unsurpassable. 15:00 Re-board the bus at Stop 16 (Souq Waqif again) and continue to Stop 18 – the Grand Mosque. Completed in 2013, this is the largest in Qatar with 90 domes and room for 30,000 worshippers. If you’re not Muslim you won’t be allowed in, but the exterior is suitably impressive. 15:30 Hop back on the bus and it will take you through attractive parkland to the Museum of Modern Art (Stop 20) and Al Shaqab (Stop 22), an equestrian establishment that proclaims itself “an enduring tribute to the beauty and nobleness of the Arabian horse”. 16:30 The hop-on-hop-off bus allows you to draw up your own schedule – but whatever stops you choose to make, be sure to be back at Souq Waqif so you can savour the unique sensations of an Arabian market as it comes to life at sundown. • Find out about the bus service at dohabus.com. Prices vary according to the time of year. • For Katara Cultural Village, see katara.net. Adults get in for QR$50, under-16s for QR$25. Children under 6 go free. • Admission to the Museum of Islamic Art is free. 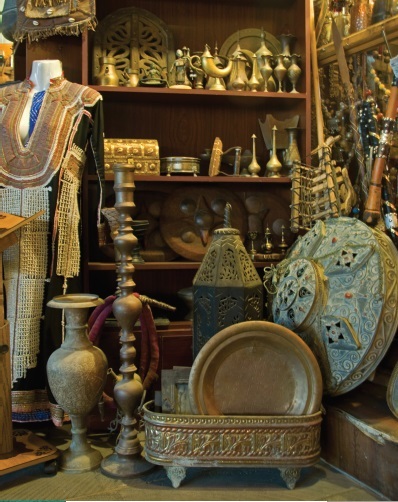 • Find out more about the souq at souq-waqif-doha.com. Admission is free but take some money to shop, visit all the markets, and enjoy a coffee – or a fruit shake – as you watch the Arab world go by. Brand new, this incredible building by the French architect Jean Nouvel resembles a 21st century Sydney OperaHouse. But while Australia’s best building was inspired by the shells and sailing ships of Sydney Harbour, this one pays homage to the desert rose. A 430,000 sq ft complex sited on Doha’s historic Al Corniche, it takes the form of a series of concentric discs, spread out around the 20th century Palace of Sheikh Abdullah Bin Jassim Al Thani. It isn’t fully open yet, and the Qataris are being coy about the treasures that will be eventually unveiled (at the end of this year, if everything goes to schedule). We know there will be a chance to peek inside a large Bedouin tent, plus sumptuous traditional textiles and jewellery galore. But they don’t do things by halves in Qatar, and that’s just a taster of what to expect. Yes, you’ve been afloat for a few days, but when was the last time you went fishing, snorkeling or pearl diving? The dhow is the traditional vessel of the Arabian Gulf and the Indian Ocean. Was it invented by the Arabs or the Indians? Frankly no one knows, but it has been the ocean-going wooden workhorse of these regions since the time of Marco Polo. If you’ve been in Doha before, you’ll know that the most popular dhow cruises sail at sunset – just when you probably need to get back on board your ship. But they operate at other times too, so you can still experience this ancient form of transport before your modern one whisks you away. Sheikh Faisal was born in Doha in 1948 and became one of the Middle East’s most influential business leaders. Then in 1998 he opened the Sheikh Faisal Bin Qassim Al Thani Museum, a 30-minute drive from central Doha. This has since become one of the greatest private museums and galleries in the world, reflecting its patron’s four somewhat disparate passions: Islamic art, Qatari heritage, vintage cars, currency and coins. You’ll also find temporary exhibitions and events in this vast, 17,000 sq metre space containing ancient Islamic manuscripts, major archaeological finds, paintings, embroideries and historic vehicles. Have you ever had your teeth rattled aboard a racing camel? It’s not an enjoyable experience, so you’ll be glad to know that a visit to Doha’s Al Shahaniya Camel Racetrack merely involves watching how these curious creatures are trained (if you’re really lucky, you might see a race in progress – check before you book). If you’re bitten by the camel bug (not literally, of course) Doha’s “Camel City” is home to thousands of the beasts, just a 30-minute drive from the central business district. And the roll? Doha’s Racing and Equestrian Club is a centre of Arabian equine excellence. Here you’ll see one of the finest horse-training centres in the world, with an equine pool, rehab centre and race track. With all those happy horses around, surely one of them will take a roll in the hay? Several operators run tours to all three destinations. • Hundreds of dhows are available for hire on Doha’s Corniche. Assume you’ll pay QR$230 per adult and QR$150 per child for an adventure that will include a swim, snorkel and island barbecue. • For the Sheikh Faisal Museum, see fbqmuseum.org. Avoid Fridays, the Islamic holy day, when the museum is closed. Try to get there at 9.30am when most camels train. • Every Thursday at 4pm you can see races of pure-bred Arabian horses at the Racing and Equestrian Club.